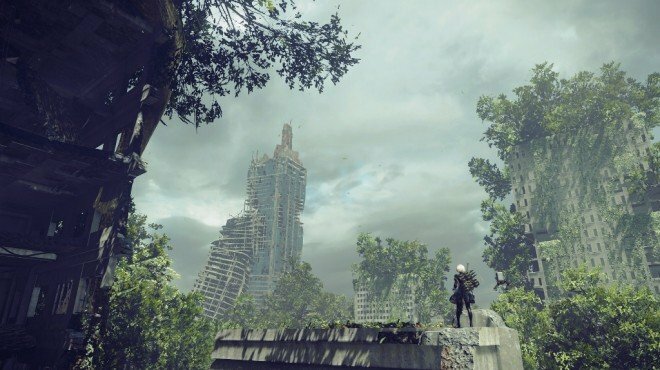 Pearl Harbor Descent Summary is one of the information archives in Nier: Automata. For this descent, twelve experimental YoRHa units were deployed to destroy the server located inside Mt. Ka'ala on Oahu Island. However, they encountered heavy enemy anti-air defenses during the initial stage of the mission, resulting in the death of all but four squad members. The remaining units then joined up with members of a local Resistance movement and decided to continue the mission despite their initial losses. Even in the face of a fierce enemy counterstrike and overwhelming numerical odds, a handful of units managed to reach the target location—at which point unit Number 4 overloaded her fusion reactor and destroyed the enemy server. While the destruction of the server struck a blow against enemy forces. the true purpose of this operation was to monitor and research how the experimental YoRHa units behaved during battle. This information would then be studied and integrated into new YoRHa models once the project were to proceed past the experimental phase. One note of concern: it has been verified that the black box signal of the experimental unit Attacker Number 2 remains live. Due to the possibility of the unit being captured and compromised by the enemy, and due to the unit's existence itself being a matter of the highest level of confidentiality, it has been decided that it is to be recovered—or disposed of—by the Type E division once this group is fully operational.